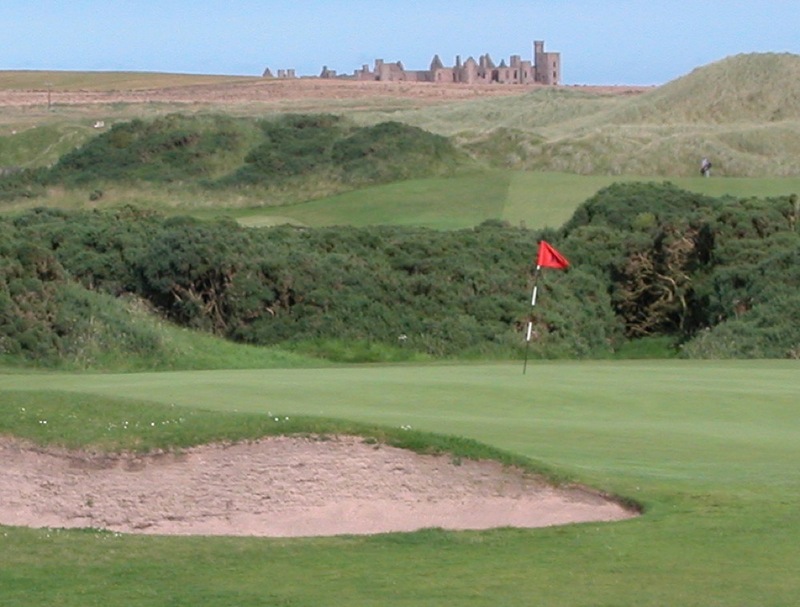 The haunting ruins of Slains Castle at Cruden Bay in Scotland, hanging ominously on the edge of the sea, provide a spirited backdrop to the golf at Cruden Bay Golf Club, having inspired Bram Stoker to pen Dracula on his annual summer visits to this seaside resort! 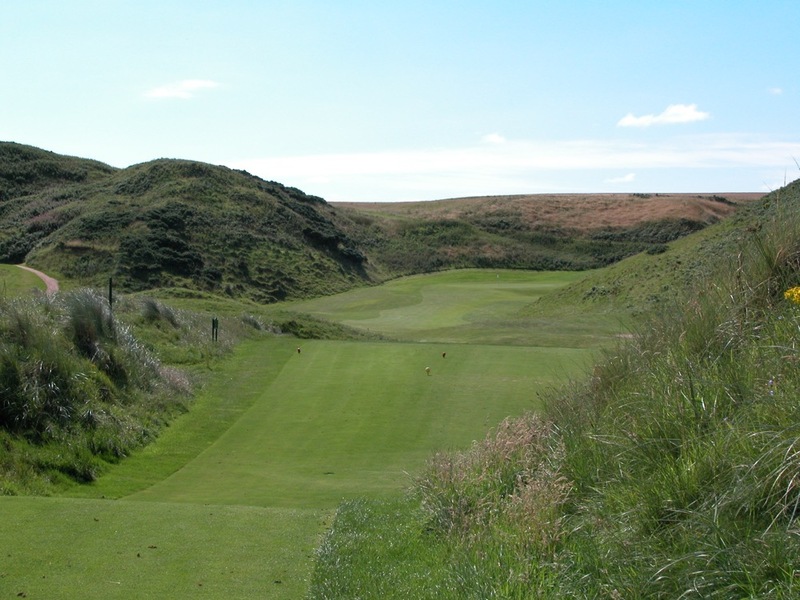 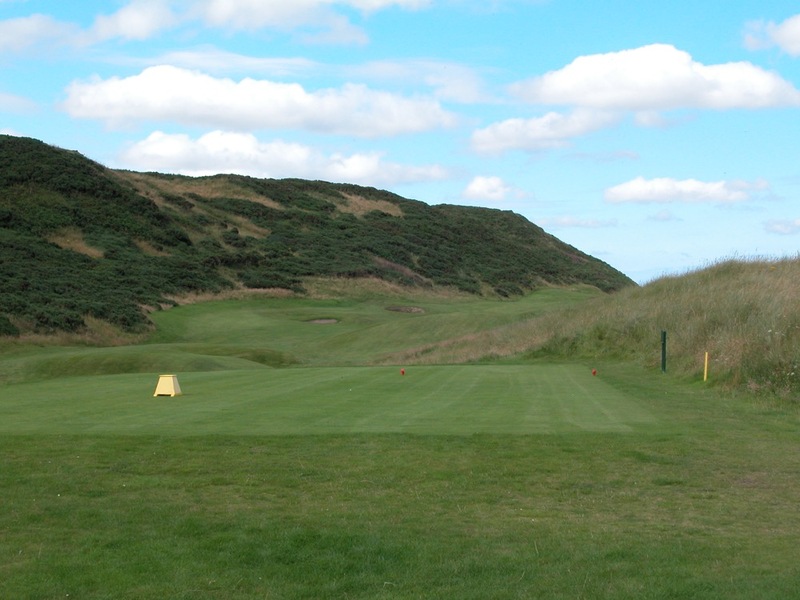 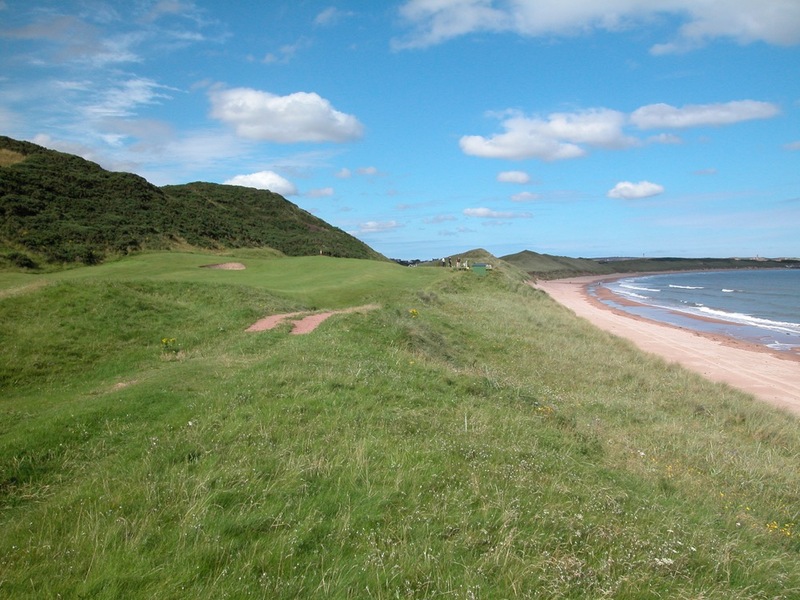 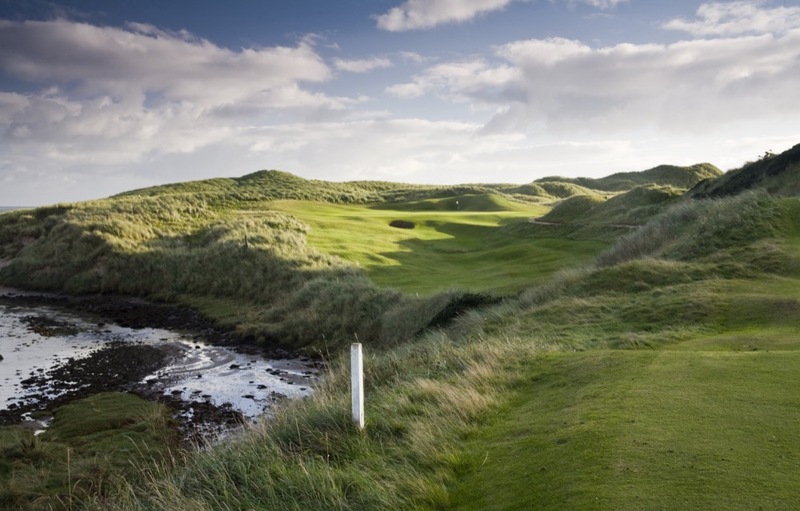 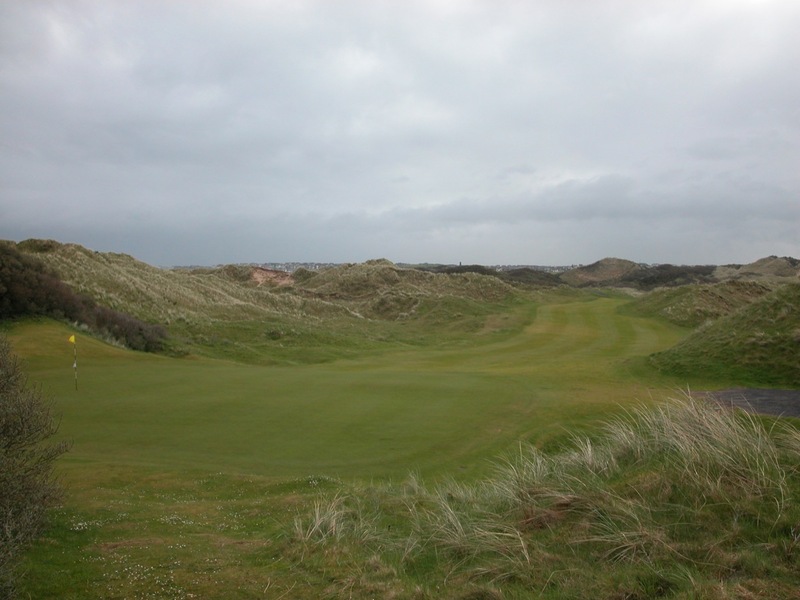 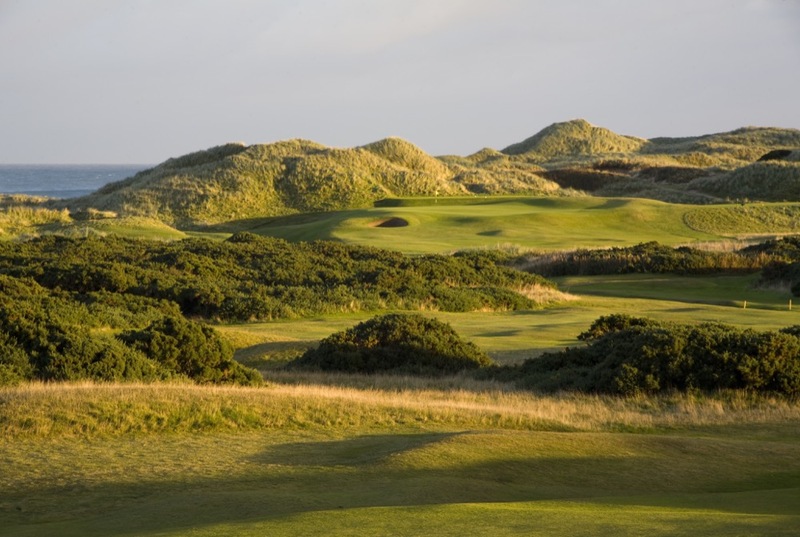 Often called the “Ballybunion of Scotland” because of the mammoth dunes on the property, Cruden Bay Golf Club in Scotland is a links that defies description, except to say that it comes straight from the imagination when fantasizing about golf in Scotland! 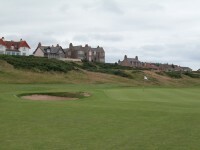 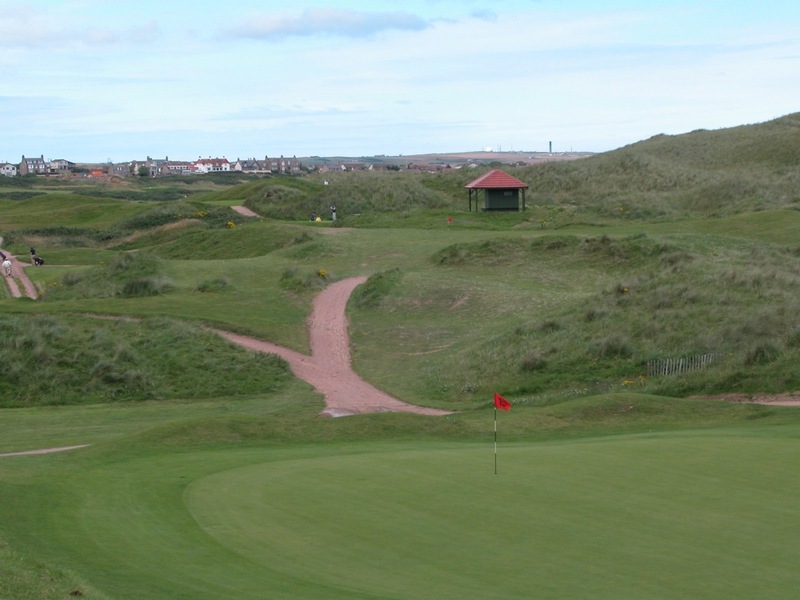 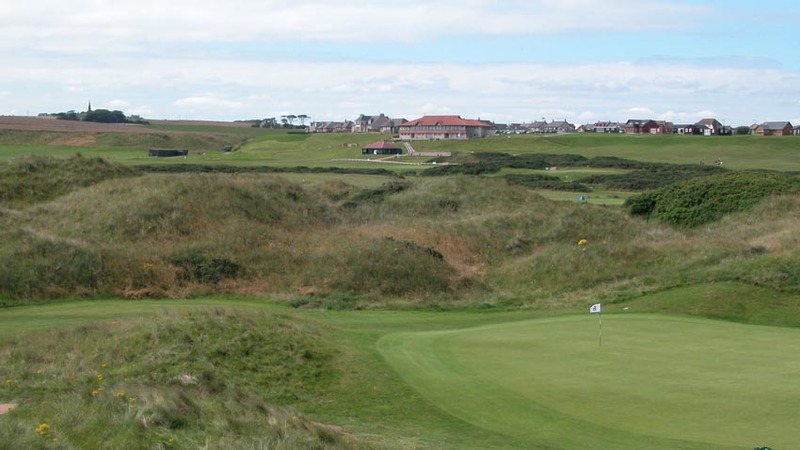 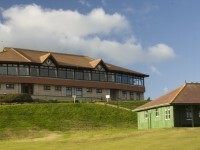 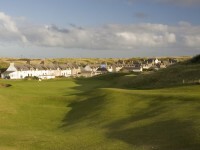 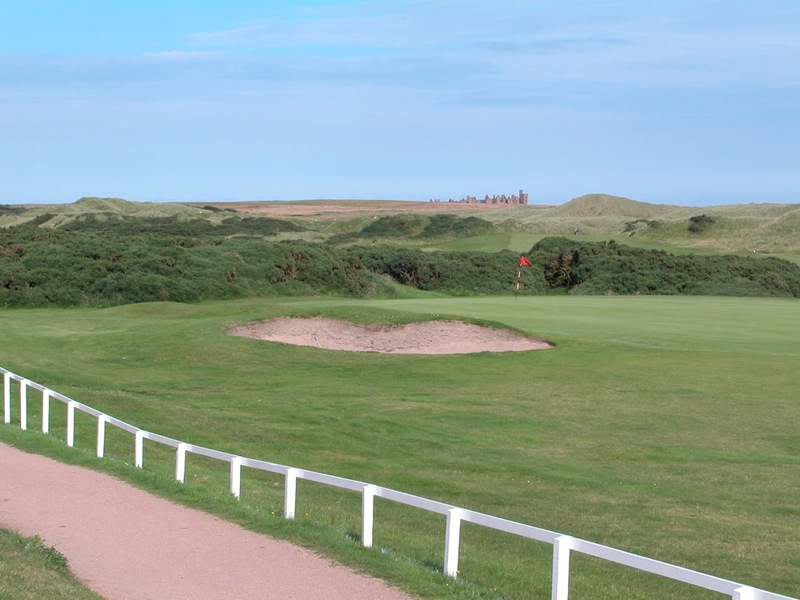 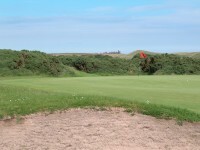 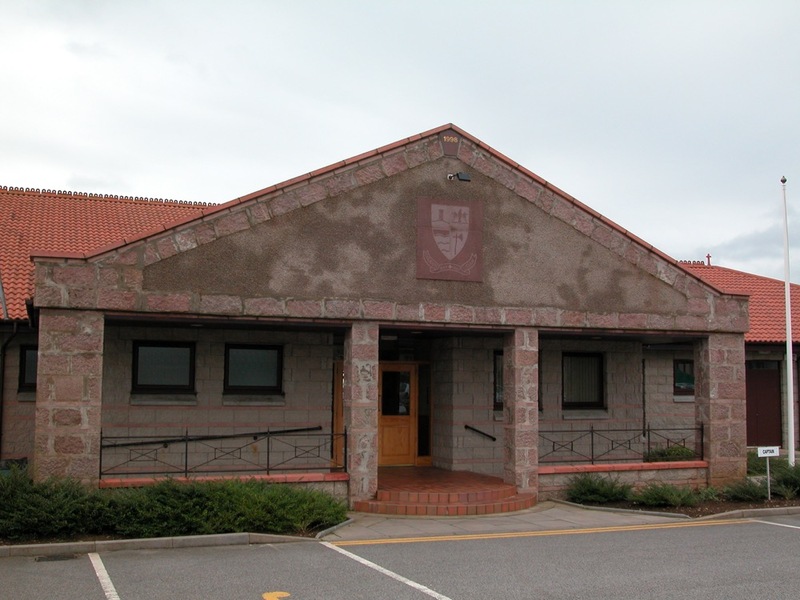 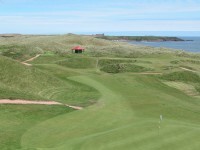 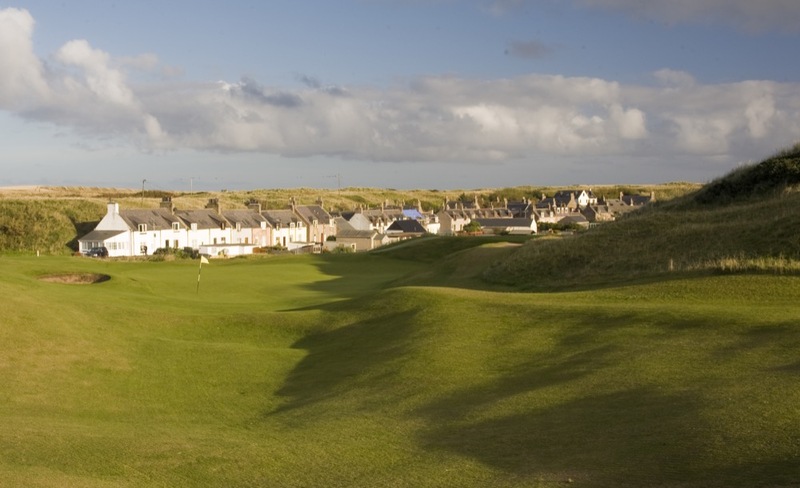 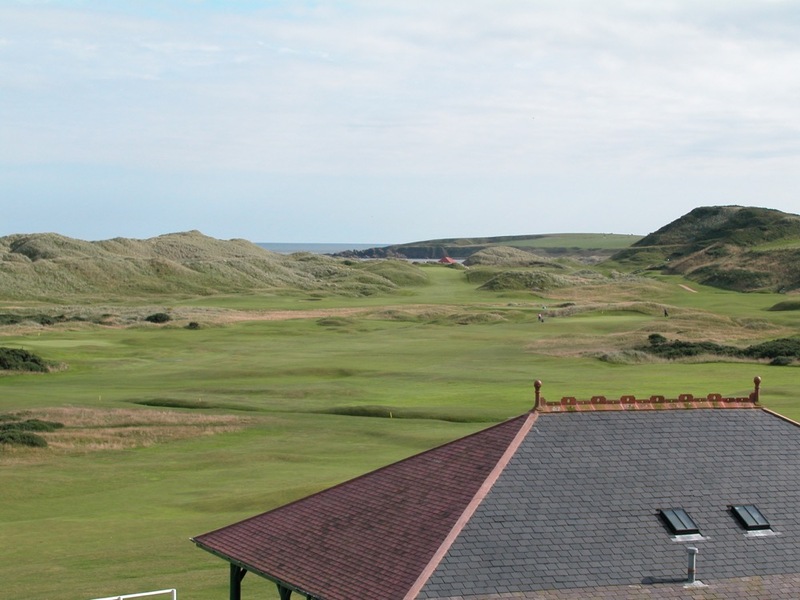 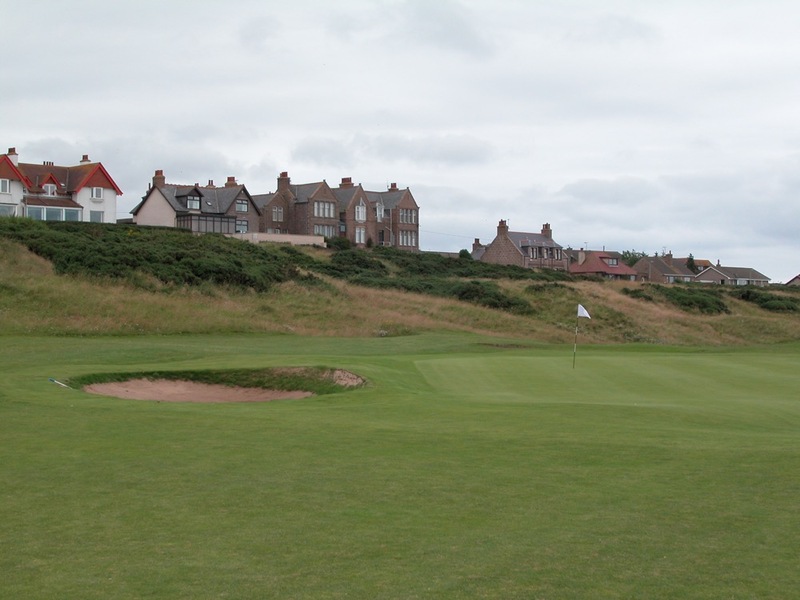 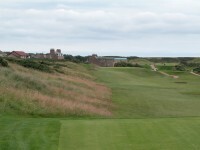 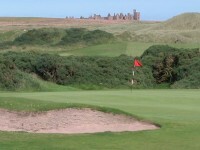 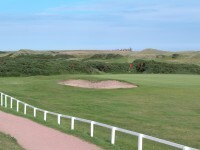 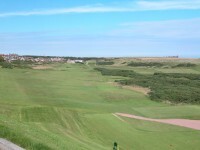 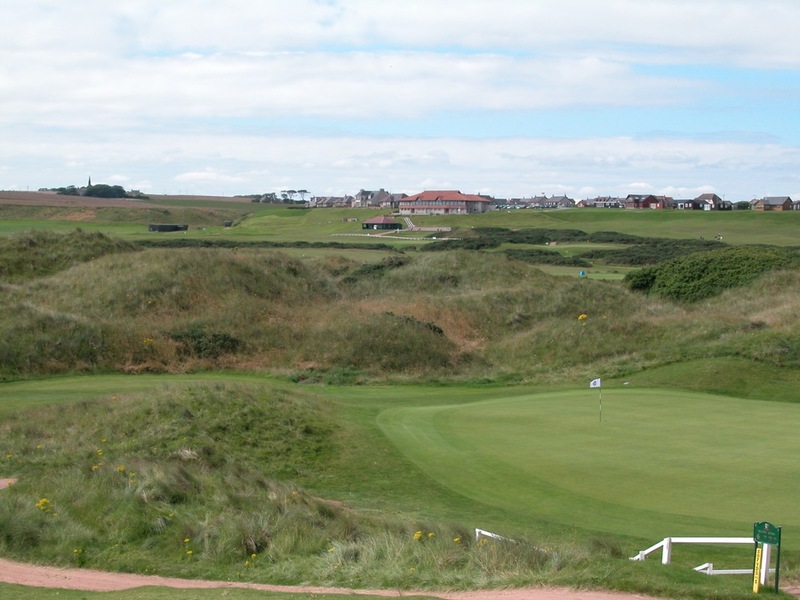 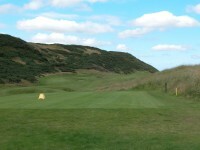 Originally the golf course of the Cruden Bay Hotel, whose baronial structure was sadly blown up in 1953, this is historic links land, with evidence that golf was played on the Cruden Bay Golf Club property as far back as 1791. 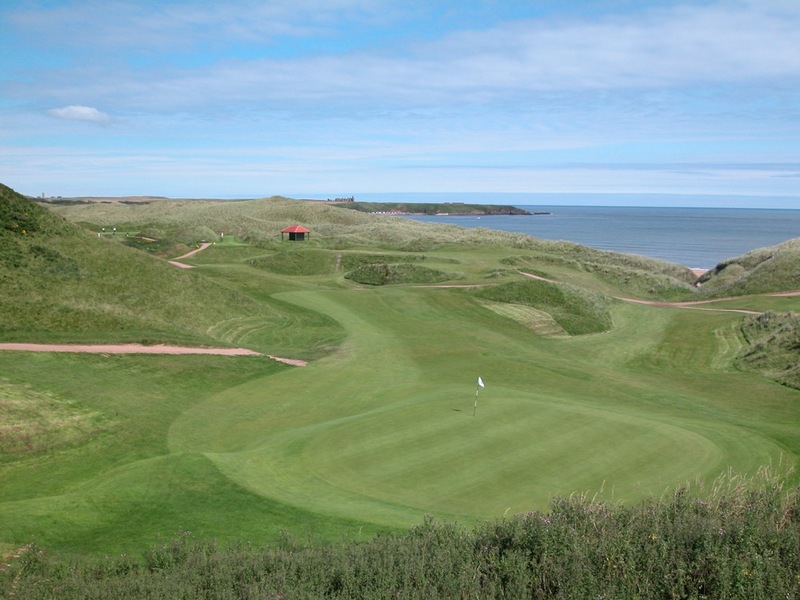 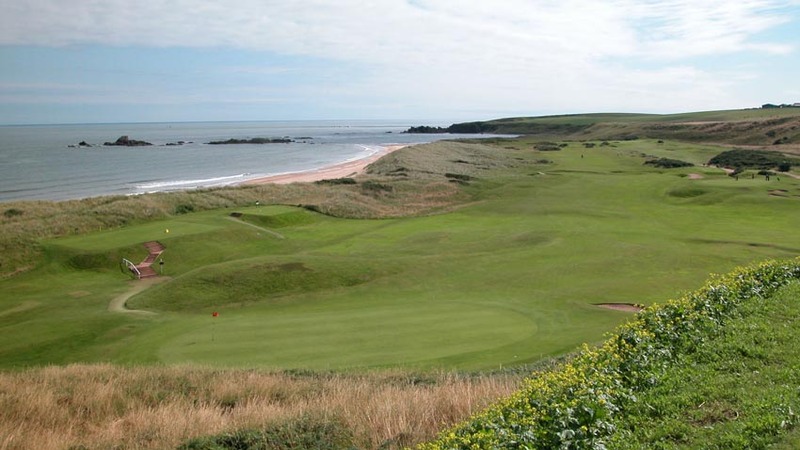 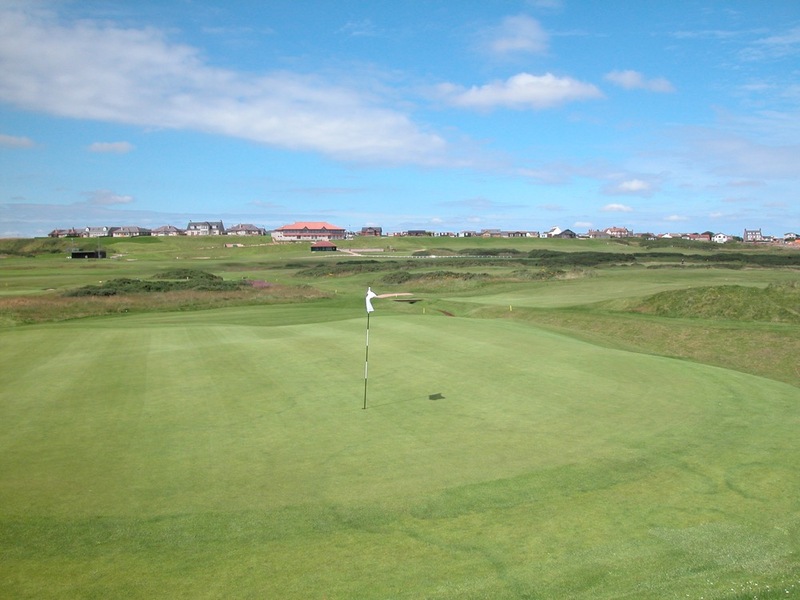 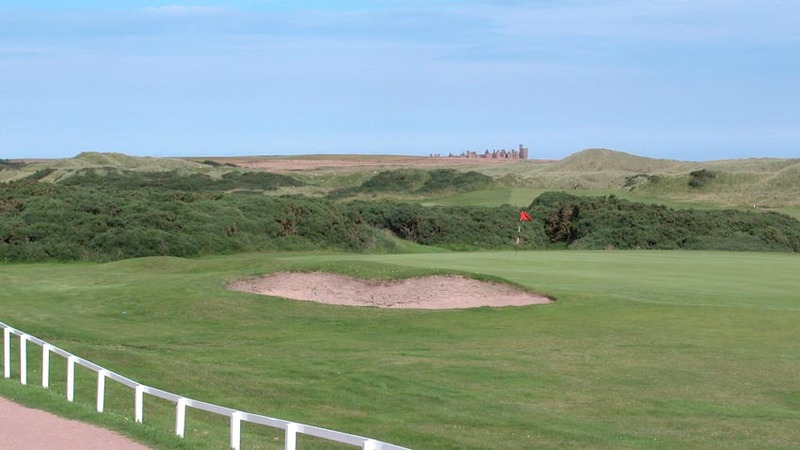 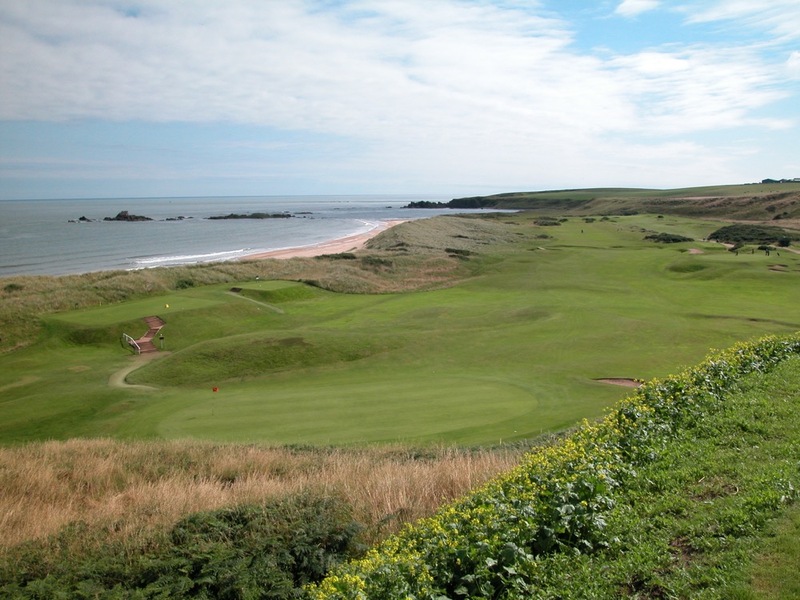 Delightfully old-fashioned, with greens in tiny hollows, many blind shots, and stunning elevation changes, Cruden Bay Golf Club is pure Scottish golf. Our favorite hole at Cruden Bay Golf Club is the 8th, a par-4 of roughly only 250 yards, a hole that forces you to aim for the green, and begs you to overswing! 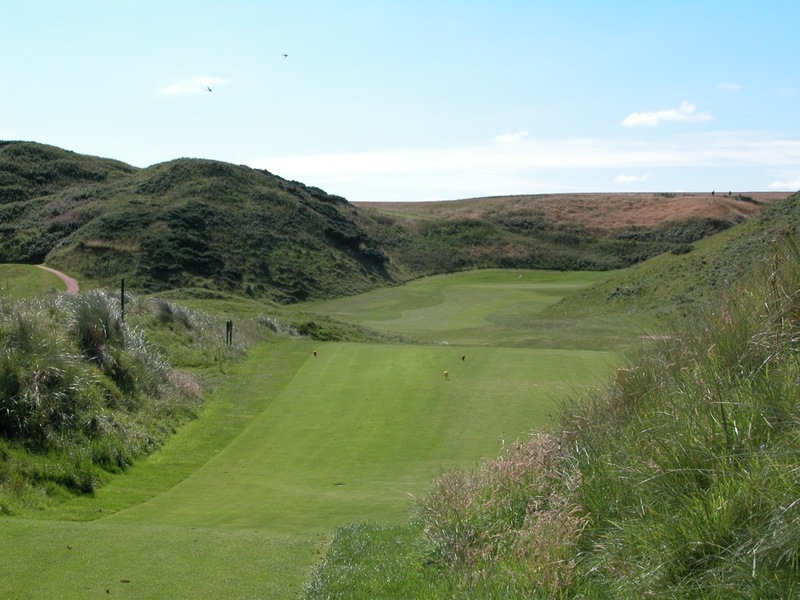 The view from behind the 8th at Cruden Bay Golf Club, high on the hill, back towards Slains Castle, is one of the most distinctive and memorable in Scotland. 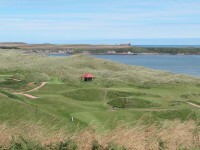 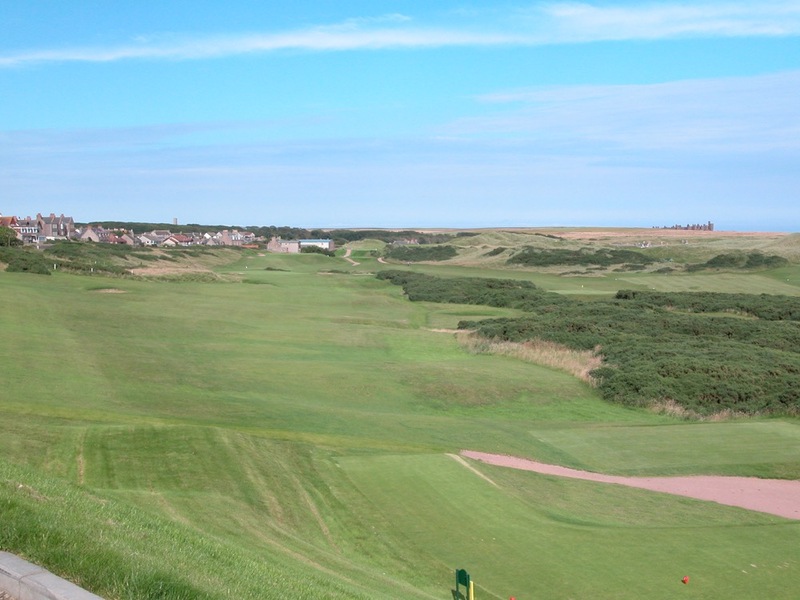 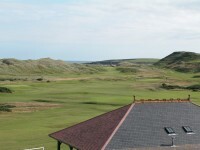 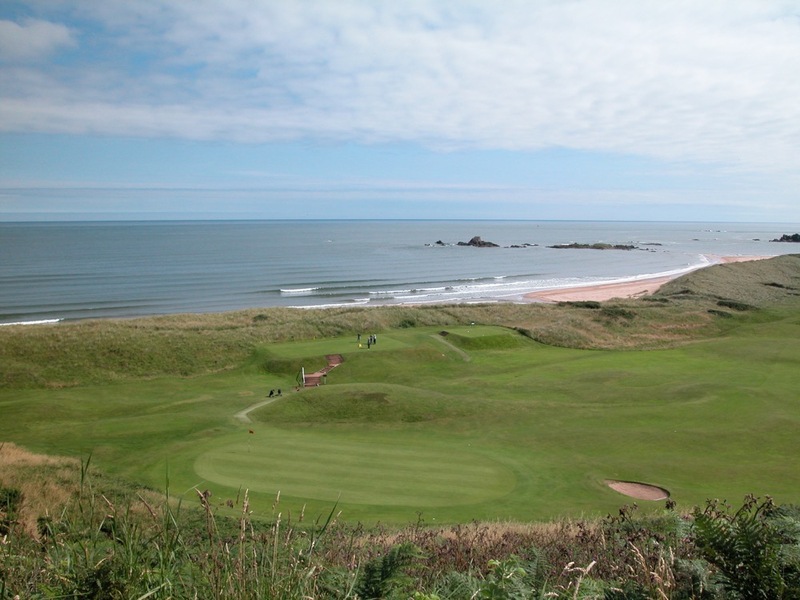 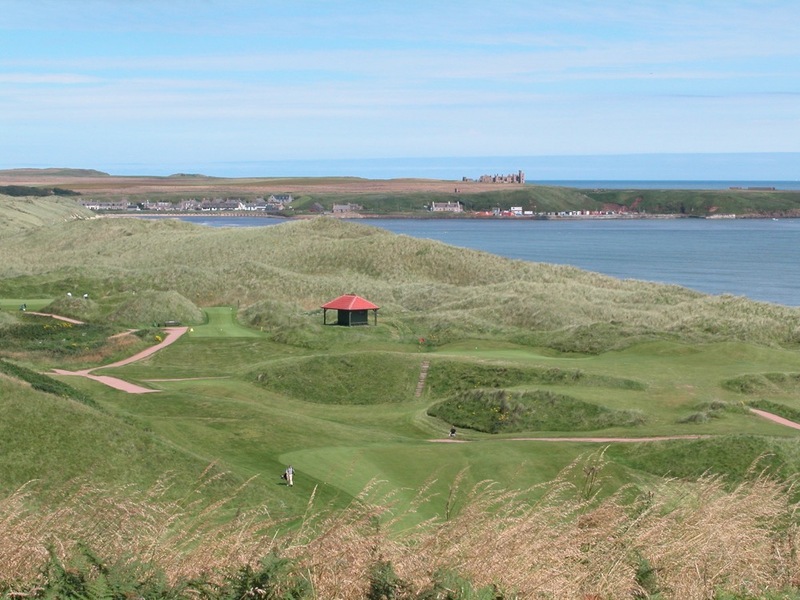 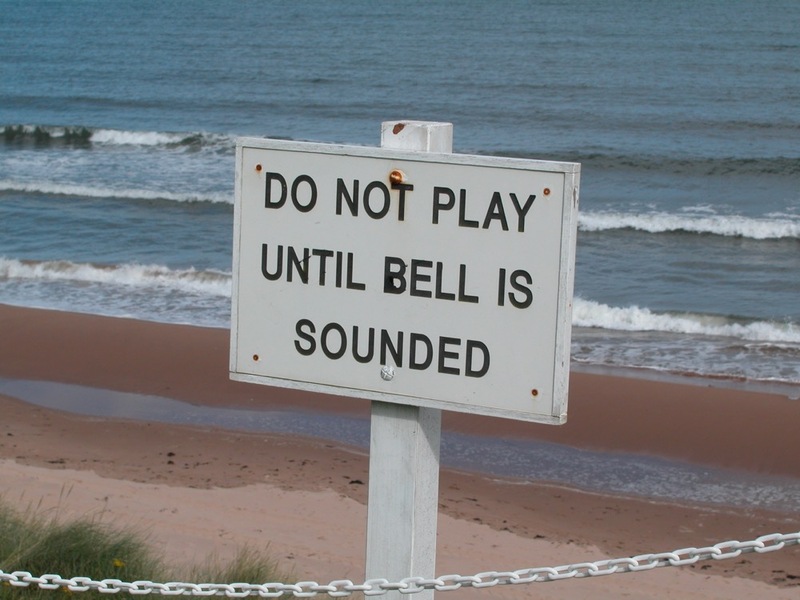 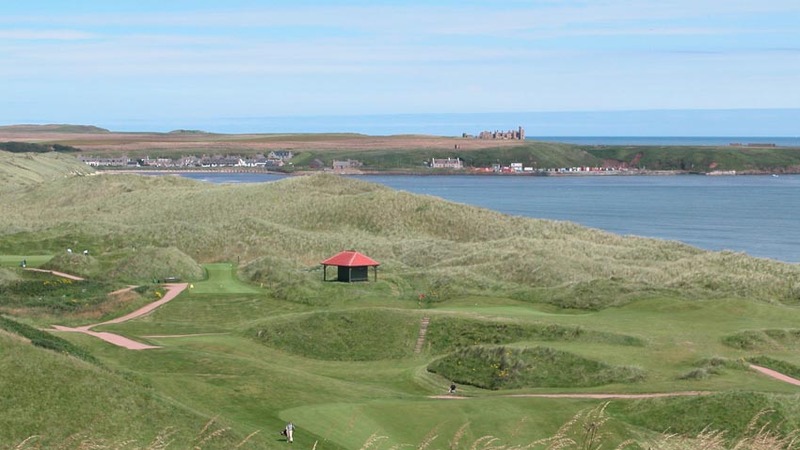 Yet, it is nearly topped by the view from Cruden Bay Golf Club’s 10th tee, with the other side of the links laid out before you, along with a beach that could be mistaken for the Caribbean! 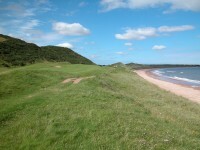 The sand is even a little pink! 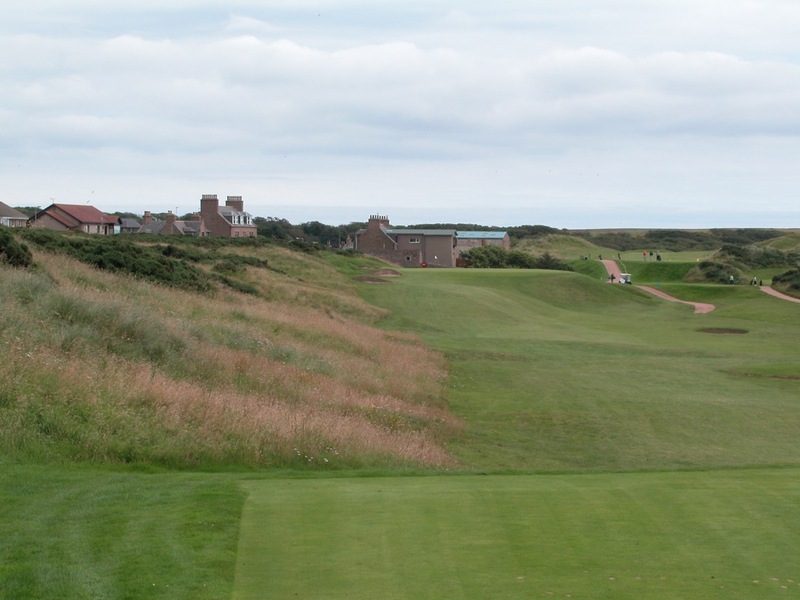 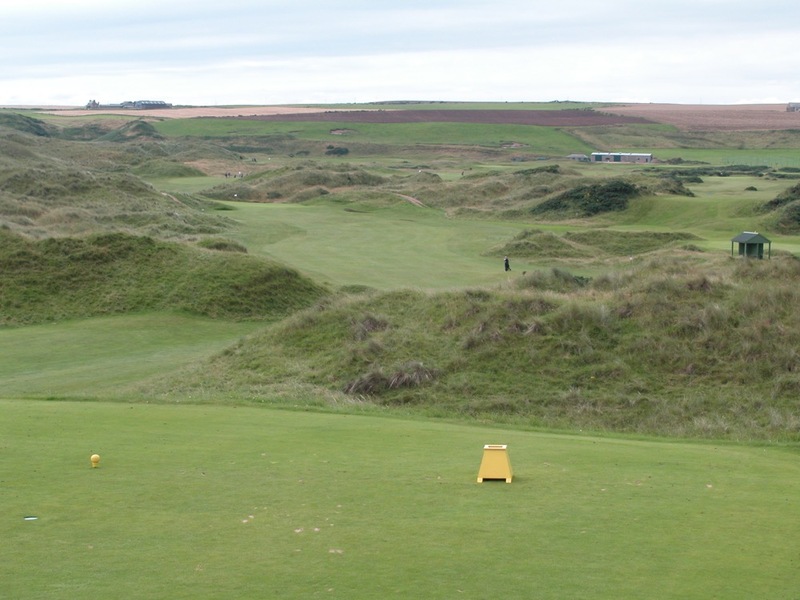 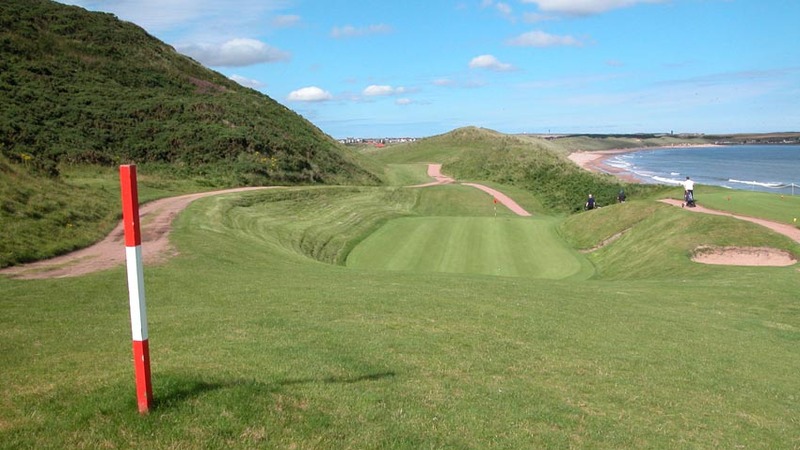 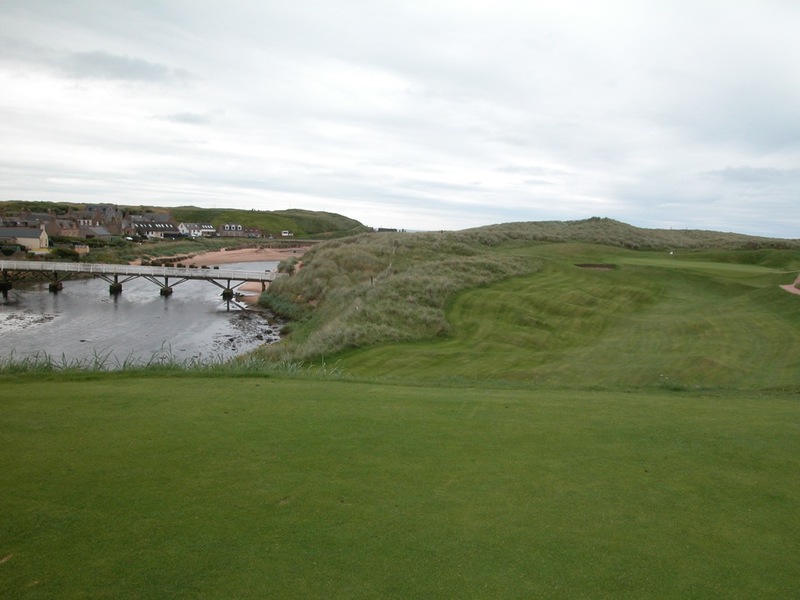 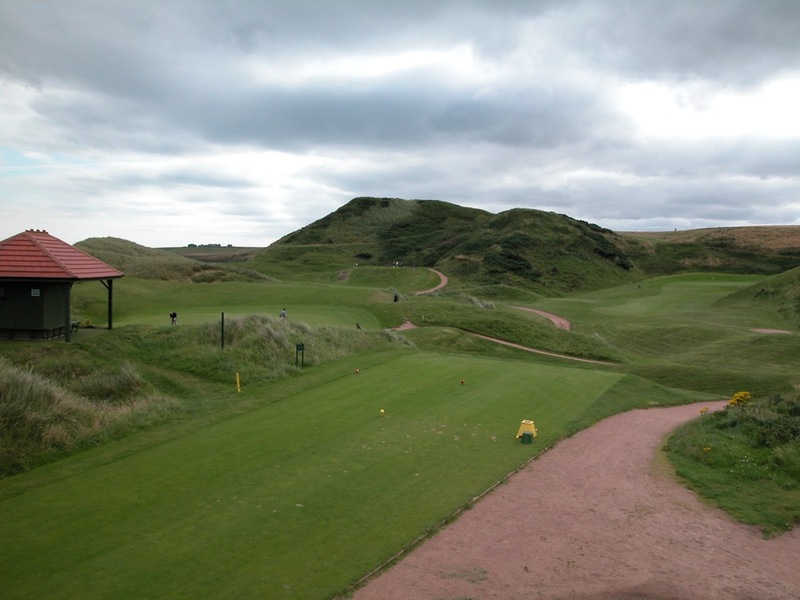 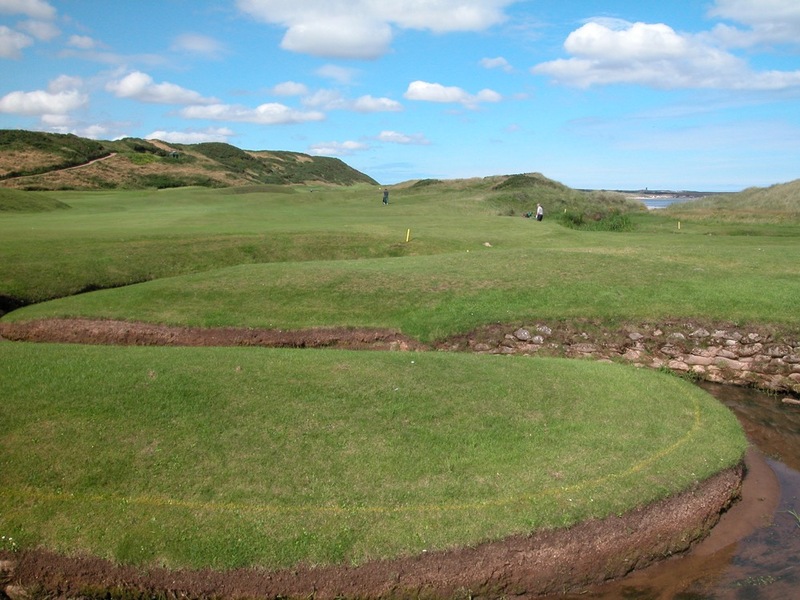 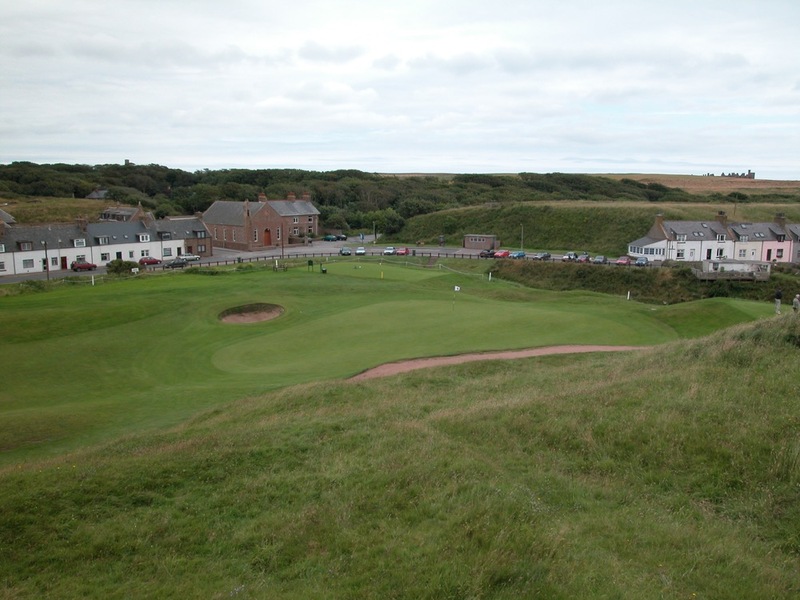 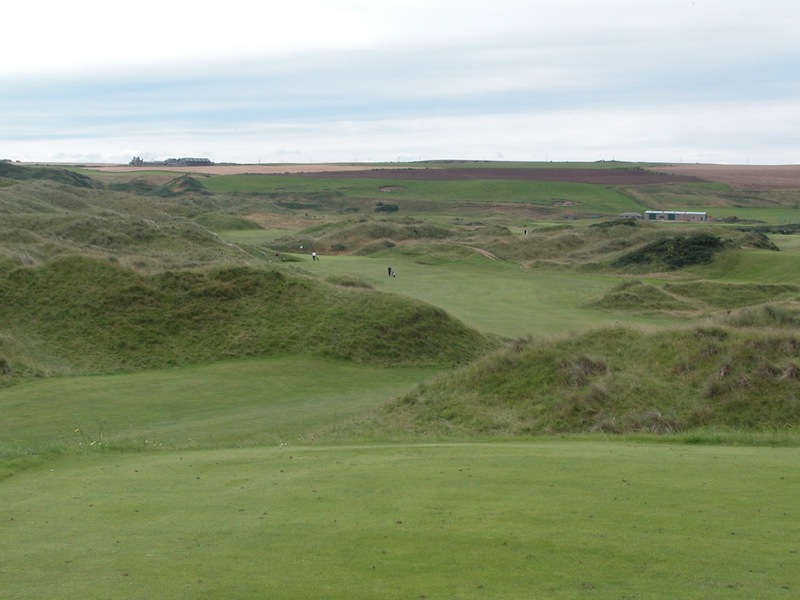 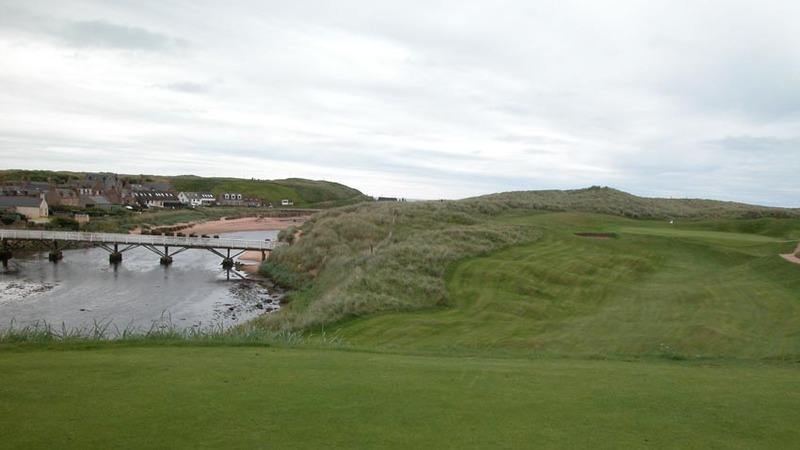 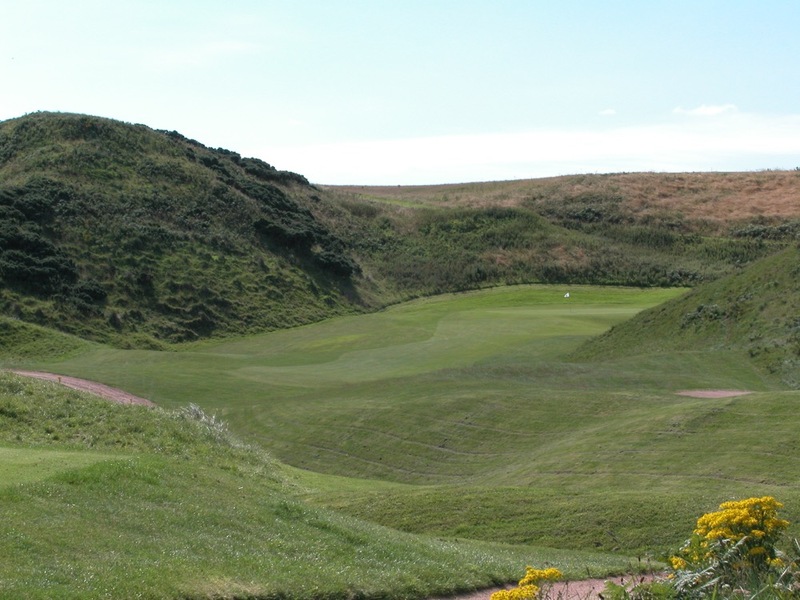 Somehow, you squeeze past the huge hill separating holes 10-13 at Cruden Bay from the rest of the course to get home, in thanks to two completely blind holes, and back-to-back par-3s. 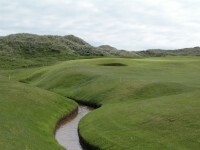 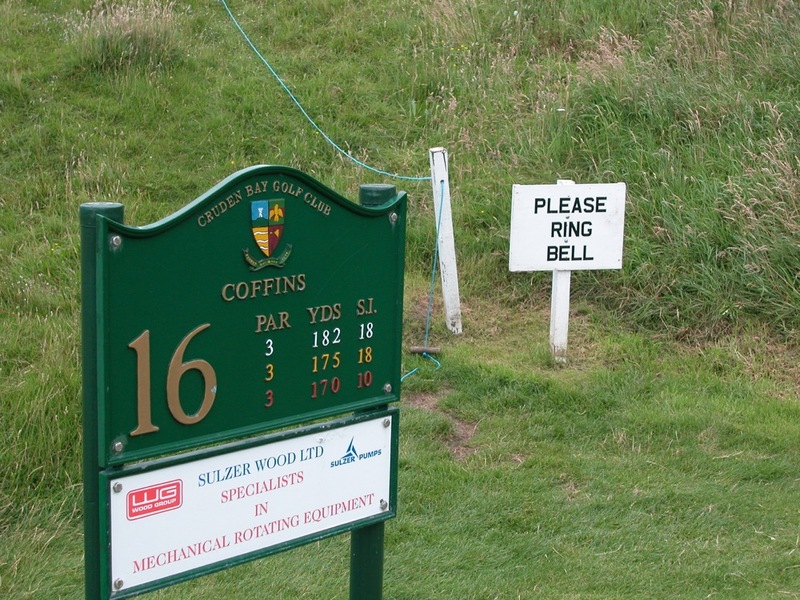 You won’t make it back though until you avoid “The Coffins,” behind the 16th at Cruden Bay Golf Club, which could give new meaning to the term “buried lie!” Cruden Bay Golf Club is one of the handful of courses that you would play in Scotland if searching out only the most authentic of Scottish golf experiences. 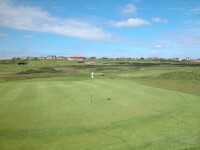 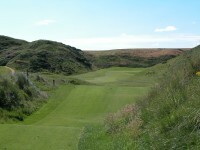 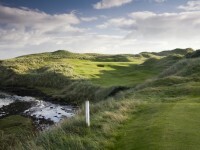 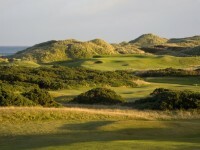 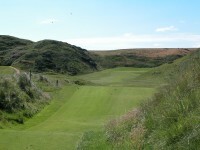 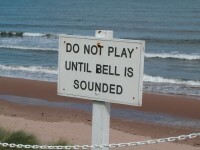 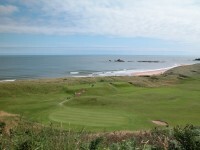 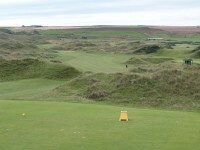 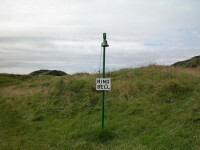 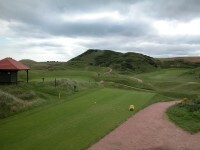 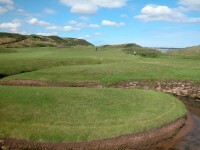 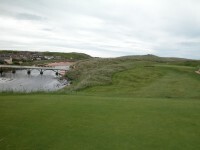 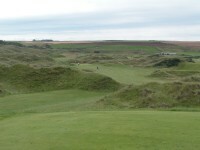 Pay Cruden Bay a visit!